As always, the race organisation went out of their way to look after the team providing a pretty swanky coach to transport the team from the Docks to the hotel. So swanky in fact, the Ireland team decided to hitch a lift, ditching their 5 seater taxi. With the hotel located so close to the start line it would have been rude not to stretch the legs – and so Timmy and Zak led the way for an easy 5km. For those who have been lucky enough to scale Snowdon, (whether walk or run) you will be all too familiar with the steep tarmac road which greets you from the get go. Whilst this seemed to fuel the fire for Zak it was enough to give Sarah nightmares as the Irish Uphill Trials champ from Dromara excitedly pointed out the best lines to take upon entry and exit onto the main trail. Meanwhile Team Manager Sam was on first name terms with the Italian team and the overall Snowdon Race winner, after exchanging race tips and weather predictions. – Then it was time for dinner. As final race preparation goes, there was no breaking tradition and following their leg stretch, the team made their way to the finest dining establishment in Llanberis – Pete’s Eats! Shileen assured the newbies it was ‘the place to be’ and whilst some were apprehensive, she wasn’t telling fibs. Hearty portions arrived and the last minute fuelling began. Shileen made the most of her meal, clearing every last crumb and even stopped at the shop on the way back to the hotel to purchase milk so she could whip up some porridge before bed. Who knows where she actually puts the food but it was very impressive! Back to the hotel and Team Manager Sam called a quick meeting to distribute the all important race kit and last minute information along with a short motivational speech (which included numerous Lance Armstrong quotes) and then it was off to bed. Whilst Timothy rejoiced at not having to share a room with Ricky and Sarah on this particular trip, he opted for Zak as a room buddy and as everyone said their goodnights the duo were heard discussing what motivational music they were going to listen to before turning off the lights. Meanwhile Willy McKee was taking it all in his stride, saving his energy for the big event the next morning. At breakfast, the beetroot juice was flowing and the porridge was being served thick and fast as pre-race nerves started to kick in. Gavin was banned from playing ‘his style’ of music because Timmy and Zak quote, ‘’didn’t understand it” and Willy (as cool as a cucumber) was quietly getting himself into race mode. As part of the support crew, Ricky packed sugar supplies and water, said his good lucks and goodbyes and off he went for a run to the summit ahead of the race. With the plan of attack to supply fuel for those who needed it – and it was very much appreciated! He was even captured on Welsh TV supplying Zak with his second secret in-race fuel… fruit pastels. As runners lined up under the start gantry a large crowd had gathered to the see them off. Zak was positioned front and centre, taking full advantage and every marginal gain going – and rightly so! The rest of the squad were tucked in close behind waiting for the sound of the starting gun. As the clock struck twelve, jut shy of 600 athletes filed onto the main street to rounds of applause from the locals – ready to face the 10 mile out and back course and a gnarly 3000ft of ascent. Steep, steep and steeper… the climb starts on a tarmac road, which some motor vehicles might struggle on! It’s a tight winding pull before the tarmac turns into the main mountain trail, which is unforgiving underfoot and continues to rise as it goes on. The weather was humid and runners made good use of the multiple water stations dotted along the beaten path. In the heat, more water was being poured overhead than actually consumed. Dodging walkers on the way up to the summit became the norm with the steepness of the gradient helping avoid any major collisions. However, after reaching the summit it was a different story, especially for the front-runners as they bombed off the top averaging a ridiculous pace of 5 minute miles. Near misses, a few expletives and the odd elbowing incident were witnessed on the way down. 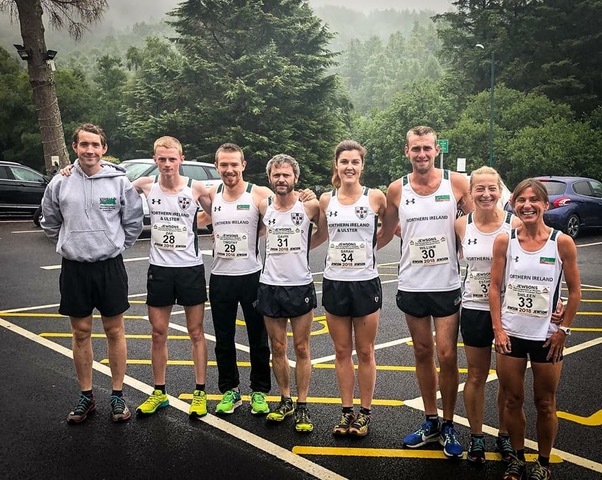 In the women’s race, Sarah thoroughly enjoyed her debut Snowdon race, managing to narrowly miss out on a top 10 finish, clocking 1.29.55 and 11tth place. 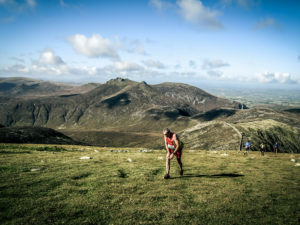 Hot on her heels, Shileen had a super run on what was her 7 th Snowdon Race, descending like a demon to clock an all time PB in 1.30.16 and finishing in 13th position. Another Snowdon debutant, Esther was the final team member to cross under the finish gantry in a time of 1.31.31 and taking 14 th overall, wrapping up a hugely successful race for everyone on the squad. Post race DOM’s kicking in, the team forced themselves to clock up a few easy miles in an attempt to ease the aches and pains. Team Manager Sam top trumped everyone, skipping sleep to scale to the summit of Snowdon just once more before it was time to go home – all before 8.30am! 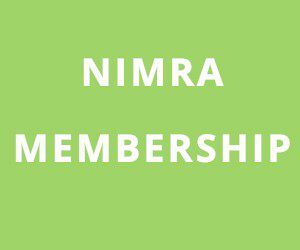 Another fantastic trip for the NIMRA squad, it begs the question… what can be achieved in 2019! – Watch this space!